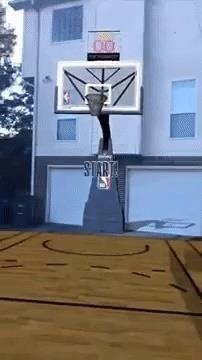 Just in time for a new season of professional basketball, the National Basketball Association (NBA) has released a new app for iPhones and iPads built on ARKit that turns your driveway into a basketball court. The setup is simple. Select your favorite team and then scan the ground to set up a half-court and basketball goal. The app recommends selecting an outdoor space with ample room, as the court and goal appear relatively close to scale. To shoot, tap the screen to bring up a ball, and then flick the device at the goal to shoot. The choice of game mechanics is interesting. 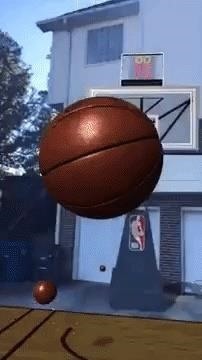 One might expect the game to use the familiar swipe gesture as seen in games like Pokémon GO, but the motion controls do emulate the action of shooting a basketball, so the decision makes sense. I actually found shooting to be relatively difficult at first, though. I'm not an all-star by any means, so perhaps this is a product of realistic mechanics. However, after a little practice, I found my sweet spot on the court and was able to bank in a few shots in succession. Yes, practice. Allen Iverson would be proud. 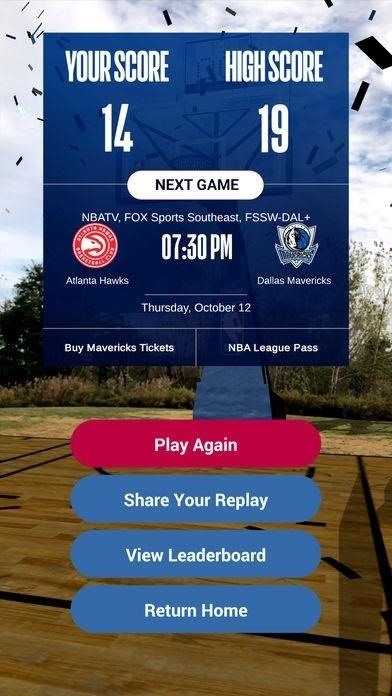 Ultimately, while the app is entertaining, its true goal (no pun intended) is to sell tickets to live games or get fans to tune in for telecasts. 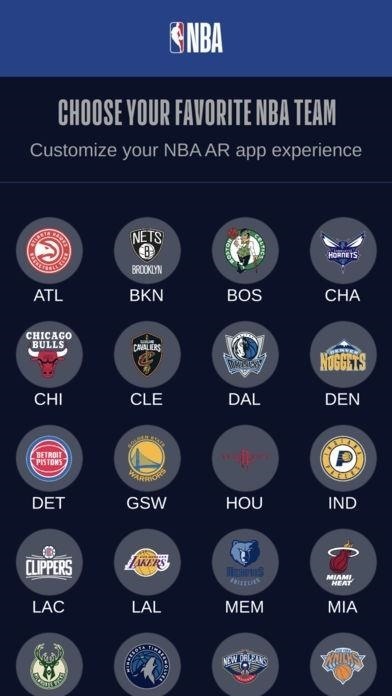 At the end of each round, players see their score as well as the next real-world game featuring their favorite NBA team (as selected at start-up) along with a link to buy tickets or subscribe to the NBA League Pass TV package. But despite the upsell, as a casual diversion, the free app is worth installing. No, you're not going to play a competitive pick-up basketball game with this, but maybe you could challenge a friend to a game of H-O-R-S-E. Or, since this game is in Apple's court, a game of A-R-K-I-T.